By Stephanie Peirolo Voice Network Badge Voice Network contributor, an ongoing writer for our guest opinion column. Giving constructive feedback can help build team spirit and improve performance. We give each other lots of feedback in marketing. Creative feedback, comments on briefs, presentations, employee reviews. While some organizations have formulas for performance reviews, I’ve seen very little guidance on how to give effective, impactful feedback in other situations. In fact, in my entire career, the only advice about feedback I heard was someone telling an ECD to not make the creatives cry. So here are six tips about giving feedback that can help you at any level. We know negative feedback can be dicey to give and to receive, but positive feedback also carries freight. Some people are uncomfortable getting positive feedback, like perhaps they don’t take compliments well or they may be perfectionists and think you’ve just set the bar even higher for them. Feedback can also have cultural implications. If a white supervisor extravagantly praises the performance of a person of color, it could be read as condescending, especially if white coworkers are not singled out for in the same way. We are often less cautious about praise, but we should be as thoughtful about that as we are with criticism. “Can I give you some feedback?” is a powerful question. If you are giving feedback to a higher up, it gives them a chance to opt-in and makes them responsible for hearing it. If you are giving feedback to someone who works for you, it lets them prepare. Giving feedback effectively builds the skills of your team, sets boundaries and improves performance. Don’t try to give feedback to someone who was up all night working on a pitch or just came out of a three-hour budget meeting. Give permission to say no. “Is this a good time, or would you rather hear it later?” It is almost always better to give feedback one on one, even if it’s praise. “You did a good job in that creative review” is less helpful than “You handled the clients’ objections very skillfully and built a stronger relationship in that meeting.” If you are giving negative feedback, try, where appropriate, to give context. Use “I” statements. Suggest a way that would work better. “When you give me extensive changes a few hours before a client meeting, it doesn’t give me time to incorporate them and rehearse. If you could give me your input earlier in the process, it would help me to be more prepared when we talk with the client.” Where possible, give a business rationale that refers to shared values: doing better work, improving client relationships and using resources more effectively. Giving feedback to your boss can be useful to the boss and establish you as a person who can take risks to better the team. Be careful and use these guidelines, but if you are willing to tell your boss what they could do to help, you might get what you need or set boundaries to create a better work environment. The same goes for giving feedback to a client. Be sure to check in with senior leadership before you do so, but if you do it well, it can improve a difficult situation. Hearing negative feedback can be overwhelming. When giving critical feedback, especially to someone who works for you, check in to see that they understand what you’ve said, give them an opportunity to respond and ask if they need any additional support or information to make the needed changes. Managers, try asking the question, “Is there feedback you’d like to give me so I can help you do your job more effectively?” If you are speaking with someone you know to be introverted or reserved, let some time pass before you check in. Giving feedback effectively builds the skills of your team, sets boundaries and improves performance. In a field where we are consistently giving feedback on creative, creative briefs, pitches and presentations, doing it skillfully gets us to better work. Are you conflict-averse and do you avoid giving negative feedback? Or are you stinting with praise? Does your praise make people feel uncomfortable? When in doubt, ask for feedback on your feedback skills. Honestly assess how well you do feedback and then incorporate these tips to do better. 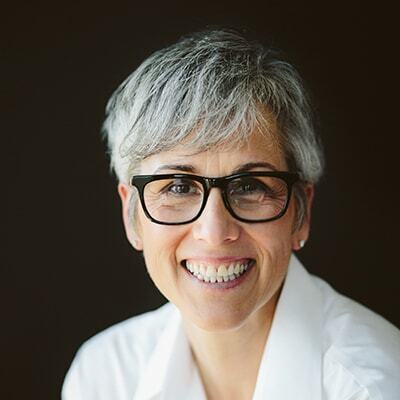 Stephanie Peirolo is a consultant and executive coach at Upperhand.